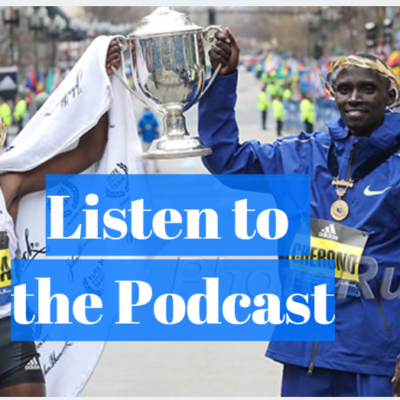 – Sally Kipyego talking about DNFing in her marathon debut at NYC last year. Now a year later, she returns more prepared and looking for her first marathon finish. Is soda bad for you in the long term or short term? How to hide injury from coach? 2 1/2 hours @ 10% grade?!? Is it douchy to win a weak 'Trot? How do you motivate yourself..? 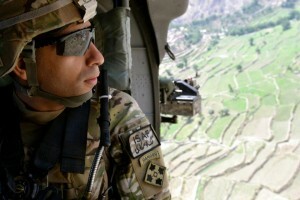 Voting is not a right or privilege, it's an obligation. RRW Donn Cabral, Bjerkeli Grøvdal, Win Abbott Dash To The Finish Line 5-K Eric Jenkins only ran 15:07 and Mary Cain only ran 16:32. 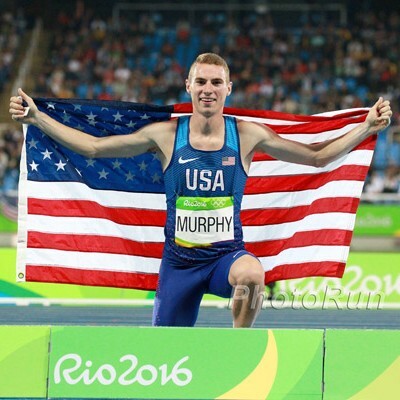 MB: Official 2016 TCS New York City Marathon Live Discussion Thread. LRC “We Are Clean” – Dr. Gabriele Rosa Talks About Turning Stanley Biwott And Jemima Sumgong Into Marathon Stars And Doping In Kenya The 74-year-old is thriving after coming out of a mini-retirement. Want the inside scoop on doping (or the lack thereof) in Kenya? Read this. International Men’s Press Conference LRC Stanley Biwott Is Ready To Repeat, Lelisa Desisa Is Feeling Fresher Than Ever And Ghirmay Ghebreslassie Compares The Olympics To A Long Training Run Winning an Olympic medal is the ultimate dream for most runners but Ghirmay Ghebreslassie said it felt like a long training run. 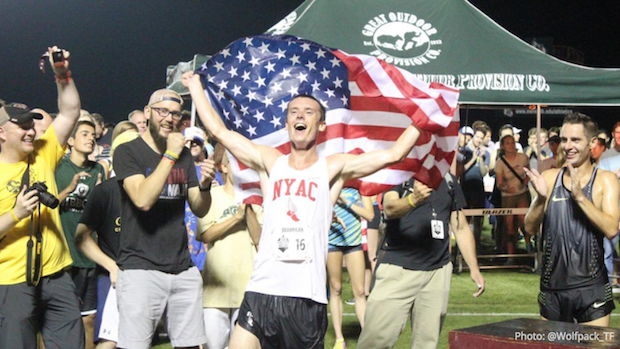 US Men’s Press Conference LRC Ritz Is Running To Win, Abdi Is On The LRC Training Plan & 5 More Observations From Talking To The Top U.S. Men In New York Also included: Meb Keflezighi (who is not running NYC) discussing his recent problems throwing up in races. 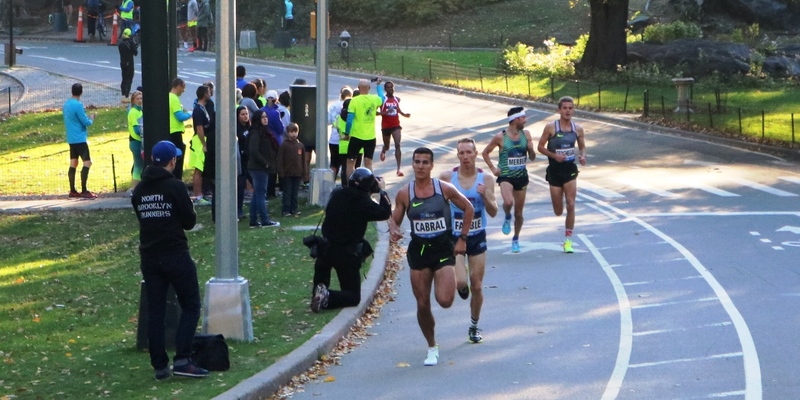 RRW: Four Years On, Tim Ritchie Energized for TCS NYC Marathon Debut Ritchie is hoping the third time’s the charm after missing the 2012 and 2014 NYC Marathons due to Hurricane Sandy and a stress fracture. RRW: Loving The Marathon, Sara Hall Ready To Tackle NYC Hall explains how a freak knee injury in 2012 set her on the path towards the roads and the marathon. Who Could Be Better? 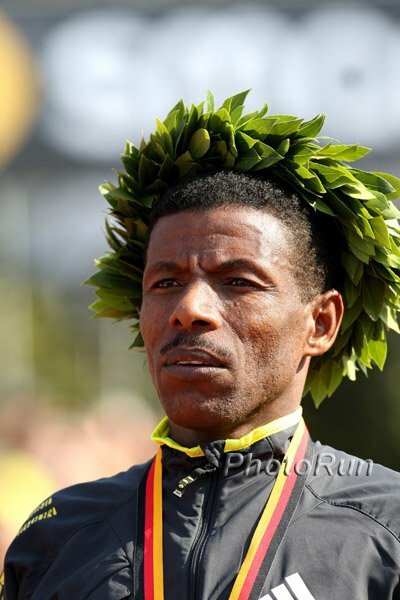 Halie Gebrselassie Running For Ethiopian Athletics Federation President Elections take place tomorrow. USA Today: There Is Concern A Trump Persidency Would Hurt LA’s Olympic Bid Chances Four IOC members spoke on the condition of anonymity and said a Trump victory would be a “catastrophe” for LA. New “Revolutionary” Ranking System To Be Implemented For Qualifying For European Championships Rather than time/distance standards, qualification will be based on head-to-head results and will require athletes to compete more often. 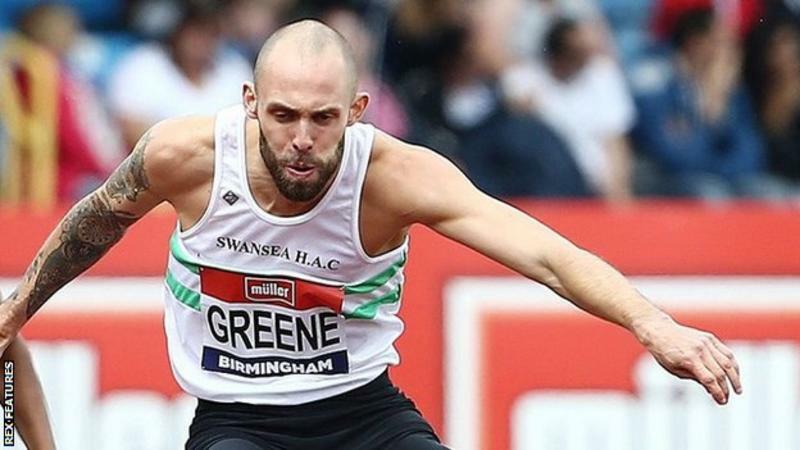 Interesting concept, but might it just see some of the biggest stars skipping European Champs? Russian Athletics Federation President Dmitry Shlyakhtin Hopeful Russia Will Be Cleared In Time For Euro Indoors In March He might not even be the president by then though as Yelena Isinbayeva will challenge him in an election on December 9th. Parliamentary Committee Report On NOCK Rio Scandal Will Be Heard On November 15th The Kenyan Olympic Committee is still disbanded, but new elections and a new constitution are planed before the end of the year. Tokyo Government Task Force Blames Huge Olympic Budget On Lack Of Leadership Apparently there is no one in charge with the authority to manage the budget. Recommended Read: The New Yorker: George A. Hirsch Gives A First-Hand Account Of The Founding And Running Of The First NYC Marathon Frank Shorter having to hitchhike and Bill Rodgers having to get his car out of a police impound after the race are just a couple of the interesting insights into the “first five-borough” marathon. Pretty Cool: 2:17 Marathoner (15th Place In Boston) Harbert Okuti Is A Psychology Researcher Studying The Mental Side Of The Marathon Okuti will get some first hand research done on Sunday as he shoots to break 2:17 in NYC. Daily Relay Q&A With Kim Conley Ahead Of Her Marathon Debut Conley ran every part of the course except the first 8 miles when she visited last month. RW Infographic Comparing The Best Performances Of Molly Huddle, Deena Kastor And Shalane Flanagan The three stack up pretty evenly, which bodes well for Huddle’s debut … although Kastor crushes the other two in road race earnings, which is not surprising as she had almost a decade head start. Forecast Still Looking Good For Sunday, Although It Might Be Windy A low of 48 and high of 59 is decent temperatures, but there could be gusts up to 20 mph. USA Today: Mary Keitany Chases Piece Of NYC Marathon History She’ll try to become only the third woman (after Grete Waitz and Paula Radcliffe) to win three or more NYC Marathons. Apparently Celebrity Chefs Also Love Running Marathons Four will be in NYC on Sunday. CAS Sets Hearing Dates For Papa Massata Diack, Former IAAF Treasurer Valentin Balakhnichev And Russian Coach Alexei Melnikov The three will appeal their lifetime bans from the sport on November 14-17th. Russian Parliament Approves Anti-Doping Bill Which Criminalizes Doping The bill introduces prison terms and large fines for coaches/doctors found guilty of encouraging their athletes to take PEDs. More Than 4 Years Later, Irish Racewalker Rob Heffernan Finally Receives His 2012 Olympic Bronze Heffernan finished 4th in the 50K race walk, but was elevated when a Russian tested positive. NY Times: “Russian Sports Agent And U.S. Marathon Officials Under Federal Investigation” The FBI suspects that Russian agent Andrey Baranov may have bribed US marathon organizers (including NYC Marathon officials) to allow his athletes to use PEDs at their events. Baranov is the agent who last year complained that he could get his clients into many big city marathons, but not NYC. Updated Men’s D1 Poll Has NAU Still Ranked #1 With Colorado Moving From 7th To 2nd BYU, Stanford and Syracuse fill ranks 3-5. Women’s D1 Coaches’ Poll Still Has Colorado Ranked #1 With NC State Moving Into #2 Providence, Washington and Michigan are 3-5. Debate: Does Title IX Need Reform? Read two arguments, one for and one against reforming Title IX. We’d say it could definitely use an update as things are a bit different now than 1972. Edward Cheserek Named PAC-12 Athlete Of The Year After Becoming First To Win Four PAC-12 XC Titles The women’s athlete of the year was Washington’s Amy-Eloise Neal. Russian Parliament To Consider Proposed Bill Which Would Criminalize Doping At least they’re acting like they’re trying to clean up doping. Russian Bobsled Federation President Dismisses Claims World Championships Should Be Moved As Call For Boycott Grows Some athletes have threatened a boycott as Worlds is there next year despite Russia not having a working anti-doping agency. Good Read: Deena Kastor, Kara Goucher And Shalane Flanagan Talk About “The Magic” Of Making Their Marathon Debuts At NYC They each reminisce about their debut and share some pointers for the next class of marathon debutantes, Molly Huddle and Kim Conley. NYC Marathon Forecast Calling For Good Conditions A low of 45 and a high of 54 with partly cloudy skies. 43-Year-Old Kenyan “Wins” Nairobi Half Marathon After Jumping Into The Race At The End John Mwangi Nyaruai broke the finish tape, but thankfully was exposed as a cheat and DQed. 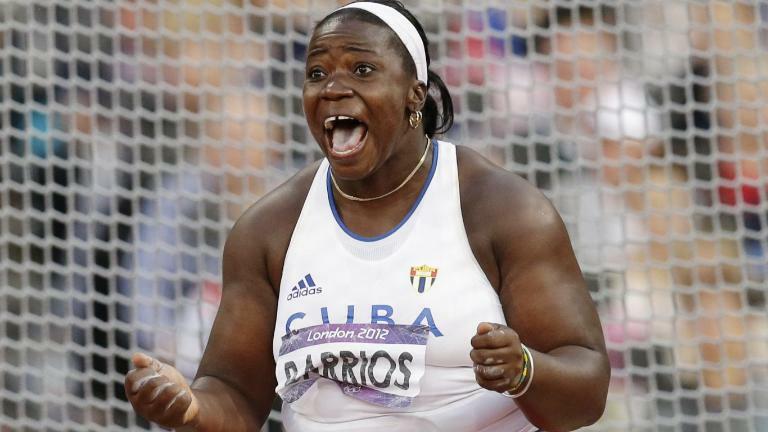 Pathetic: After Being Caught Doping, Rather Than Return Her 2008 Olympic Silver Medal, Cuban Discus Thrower Yarelys Barrios Appears To Have Sold It On Ebay For $11,655 Barrios was caught in this summer’s doping re-tests of frozen samples. Writer From The Guardian Rips The IOC For Their Reaction To The Independent Anti-Doping Report From RIo 2016 Ridiculously, the IOC ignored the many downfalls and negative takeaways and came out with a statement praising the “successful anti-doping program” in Rio. WADA President Craig Reedie Calls Independent Anti-Doping Report From Rio “Alarming” The report found that more than a third of the athletes in Rio hadn’t been tested once in 2016. Russian HJer Anna Chicherova Appealing Against IOC Decision To Strip Her Beijing 2008 Bronze Medal Chicherova, the London 2012 Olympic champ, was caught in re-tests of her frozen samples. Over-Dependence On Government Funding Identified As Key Reason For Kenyan Rio 2016 Corruption A report claims that key government officials lobbied for paid positions on the Kenyan Olympic Committee thanks to the amount of money they had given. Top Americans Share The Hardest Workouts They Did Ahead Of The NYC Marathon Check out these impressive workouts by Molly Huddle, Dathan Ritzenhein, Kim Conley and more. 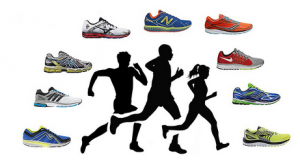 Why Did American Men Run Faster In New York Decades Ago? 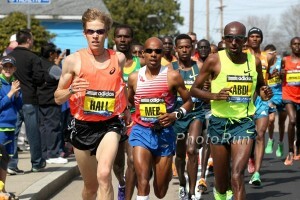 Five of the nine fastest US times were in the 1980s or before and the other four are Meb Keflezighi‘s. Bill Rodgers, Alberto Salazar, and Ken Martin theorize why. 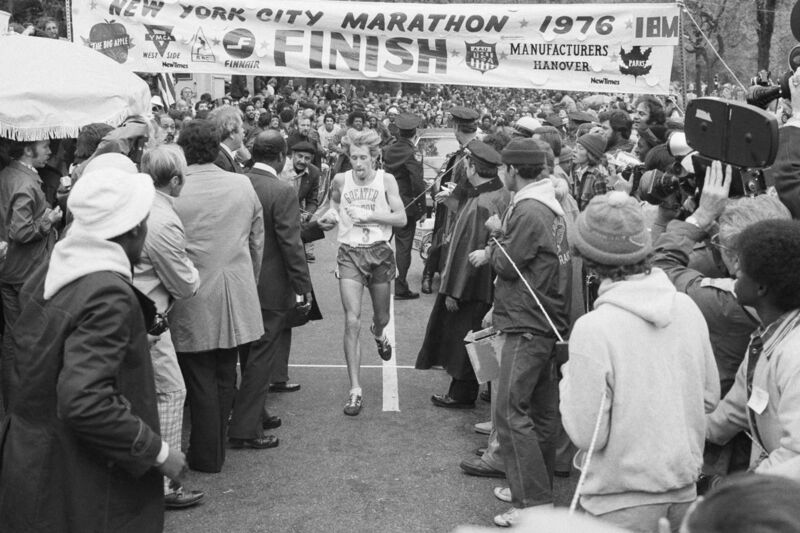 Good Read: AP: “NYC’s 5-borough marathon reaches milestone 40th anniversary” NYRR chairman of the board George Hirsch talks about giving “under the table” payments to Bill Rodgersand Frank Shorter since back then you had to maintain your “amateur” status. NYC Course Record Map See the breakdown of Geoffrey Mutai‘s 2:05:06 from 2011 in terms of pace, elevation and position on the course. +1 For The Sport: Usain Bolt Spearheading New Nitro Athletics Track Meet In Melbourne, Australia This February Bolt will captain the “Bolt All-Stars” as six teams of 24 athletes compete for the overall team title in a slew of traditional and unique track events. *IAAF Article This will be Bolt’s first-ever race in Australia. New York Post: “Usain Bolt’s Halloween – Women, Twerking And A Drug Test” Bolt had a typical “Bolt like” holiday, sending out pictures of himself with some female friends as well as a doping control form. IAAF First Impressions Q&A With Andre De Grasse You’ve all seen Centro’s tattoo, but you might not know De Grasse has his mom’s name tattooed on his chest. “Did You Know” Interview With Andre De Grasse De Grasse talks about music/learning the piano, jewelry and his personality type. After A Heartbreaking DNF At The Olympic Trials, Dathan Ritzenhein Shooting For A Podium Finish At NYC Ritz says his fitness is “as good as ever” and wants a top-3 finish. He also says the 2020 Games are still a possibility for him. Good Read: WSJ: “Why Marathons Are Tougher Than Triathlons” Since winning Olympic gold in Rio, triathlete Gwen Jorgensen has been training for her marathon debut in NYC. While she’s not making any bold predictions, it’ll be interesting to see how she fares. Gwen Jorgensen’s Longest Run Training For NYC Has Been 16 Miles And She Has “No Idea” At What Pace She’ll Go Out In her buildup, Jorgensen ran 3 x 7K at just under 5:40 pace (2:29 marathon pace) and her 3rd place finish time at the USA 10 Mile Champs is worth about a 2:29:23. Young Heptathlon Duo Ready To Take Over For Retiring Jessica Ennis-Hill 23-year-old Katarina Johnson-Thompson and 19-year-old Morgan Lake have potential, but will need to step up a lot if they’re going to get to Ennis-Hill’s level. 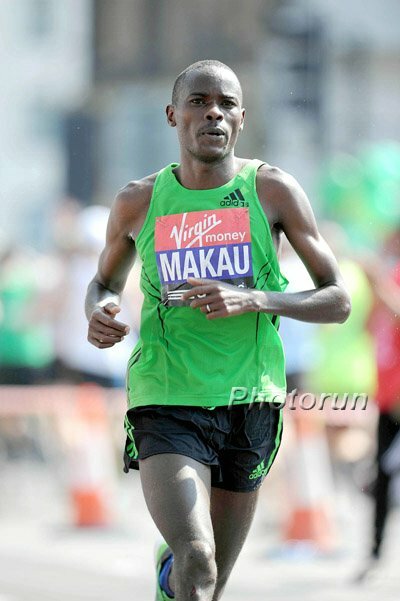 December 4: Former WR Holder Patrick Makau Returns To Fukuoka To Shoot For A Hat-Trick Victory Makau has won the past two years, but will face two others with sub-2:05 PRs, including World silver medalist Yemane Tsegay (2:04:48) and James Kwambai (2:04:27). 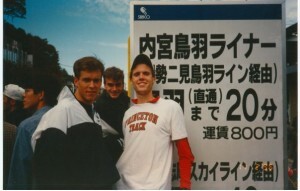 Field also includes Yuki Kawauchi, Eritrean record holder Yared Asmerom, Poland’s Henryk Szost and 2012 Olympic 10,000 bronze medalist Tariku Bekele in his debut. 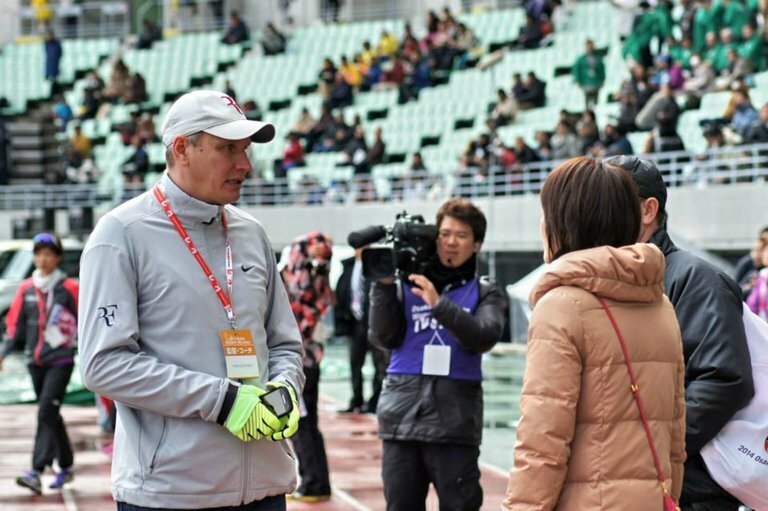 LRC Mark Wetmore Works His “Magic,” Foreigners In The NCAA, What Rita Jeptoo’s Doping Suspension Means For Her Coach And Agent + American Marathoners Bobby Curtis And Lindsay Flanagan In Frankfurt Colorado shined at PAC-12s. Is the Colorado magic really magic or just about developing talent? Plus a look at Rita Jeptoo‘s doping suspension, the number of foreign studs in NCAA XC, and the Americans at the Frankfurt Marathon. Canadian Olympic Committee Announces 4-Year Investment Plan To Boost Olympic Medal Prospects Maybe they can use some of that money to actually send some of their top marathoners to Worlds. Trump Hotel Used For Officials At Rio 2016 Implicated In Brazil Corruption Investigation Two businesses controlled by the Trump Organization are under investigation for diversion of pension fund money. Russian Paralympic Athletes Facing A Bleak Winter As Still Banned From Five Of The Six 2018 Paralympic Sports This means they might not even be able to qualify for the Winter Games if their bans aren’t lifted in time. 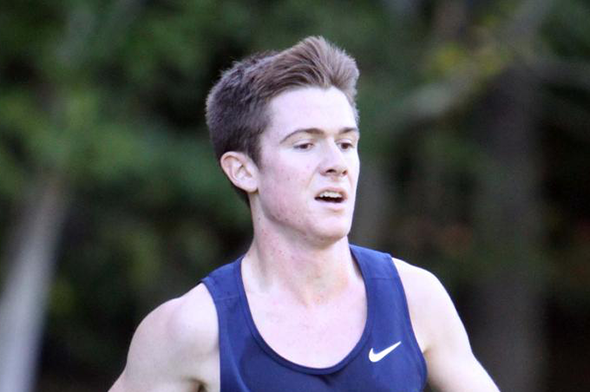 Ivy Men: Penn Wins First Cross-Country Title Since 1973 Yale’s James Randon won the individual title. Ivy Women: Harvard Wins First Title Since 1985 Courtney Smith led the way. 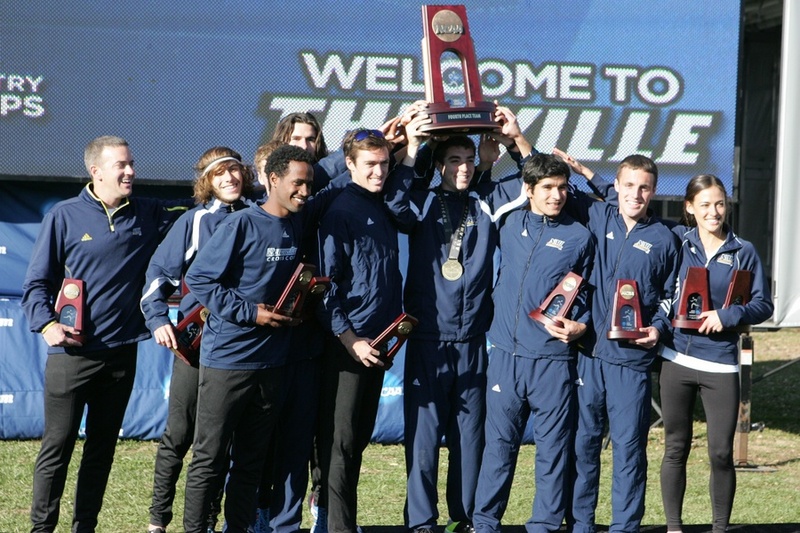 Big Sky NAU Men And Women Sweep Big Sky XC Titles NAU’s Futsum Zienasellassie and Weber State’s Ellie Child got the individual wins. PAC-12 Men Wetmore And CU Do It Again Edward Cheserek has won his 4th PAC-12 title but the big news is CU has somehow won yet again. Oregon was just 4th. *The Oregonian: Cheserek Is The First To Win Four Individual PAC-12 XC Titles Steve Prefontaine and Henry Rono only won 3. PAC-12 Women Washington’s Neale And Colorado Win #1 Colorado was supreme – scoring just 32 points – the lowest at PAC-12s since 2008. *Justyn Knight Over King Ches? *The Frazier Sisters Are Back! Big East Men Tiernan And Providence Georgetown Win Tiernan is the first 4-time Big East champ. Mountain West Women Alice Wright And New Mexico Win NCAA favorite Brenna Peloquin was just 4th. LRC U.S. Women’s Preview: Molly Huddle Makes Her Long-Awaited Marathon Debut As Does Olympic Champ Gwen Jorgensen In the past, US distance stars Kara Goucher and Shalane Flanagan had excellent debuts in NY. Will that trend continue in 2016? Huddle, Jorgensen and Kim Conley certainly hope so. LRC International Women’s Preview: Mary Keitany Tries To Embarrass The Kenyan Selectors By Winning Third Straight Title Can anyone stop the great Mary Keitany – a woman who has lost a grand total of 7 races over the last 8 years? LRC U.S. Men’s Preview: What Has To Happen For An American To Win For The First Time Since 2009 With only four men in the field who have broken 2:10 in the last three years, it’s not totally crazy to think an American could win NYC on Sunday, particularly since Dathan Ritzenhein has had a great buildup. Mo Farah Still Hungry For Success Farah admits he’s feeling his age a bit more these days, but says he’s still willing to make the sacrifices like leaving his family to go do altitude training around the world. On The Other Hand: GB’s Former Sprint Olympian Montell Douglas Shooting For 2018 Winter Games In Bobsled The former UK 100m record holder is now completely focused on bobsledding. London Mayor Orders Investigation Into Why Olympic Stadium Is Costing $61 Million More Than Expected To Convert It Into West Ham United’s Soccer Stadium Doesn’t he know Olympic projects always cost way more than expected? Business Insider: The Average College Football Team Makes More Money Than The Next 25 College Sports Combined Track and field is actually 6th on the list of 25 sports, although XC is 23rd. Edward Cheserek And Washington’s Amy-Eloise Neale Are NCAA Athletes Of The Week They each won PAC-12 XC titles, Cheserek becoming the first to ever win four. Frankfurt Marathon: Mark Korir (2:06:48) And Mamitu Daska (2:25:27) Win (updated link) Americans Bobby Curtis (2:11:20) and Lindsey Flanagan (2:29:28) finish 4th. 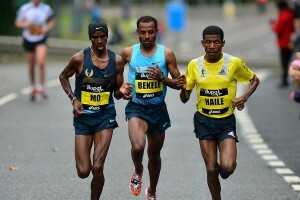 Tadesse Tola, who said he could break his 2:04 PR, was a DNF 5th in 2:11:52. Sergiu Ciobanu (2:17) And Laura Graham (2:41) Win Irish National Titles At The Dublin Marathon Africans Dereje Debele Tulu (2:12) and Helalia Johannes (2:32) won the overall race.